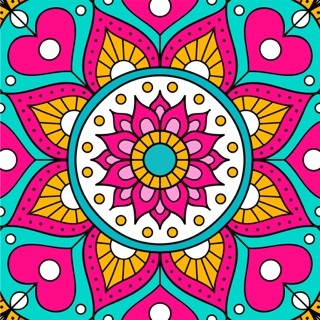 Play favorite jigsaw puzzle game with over 10,000 beautiful pictures, solve Daily Free Puzzle and make amazing puzzles from your own photos! 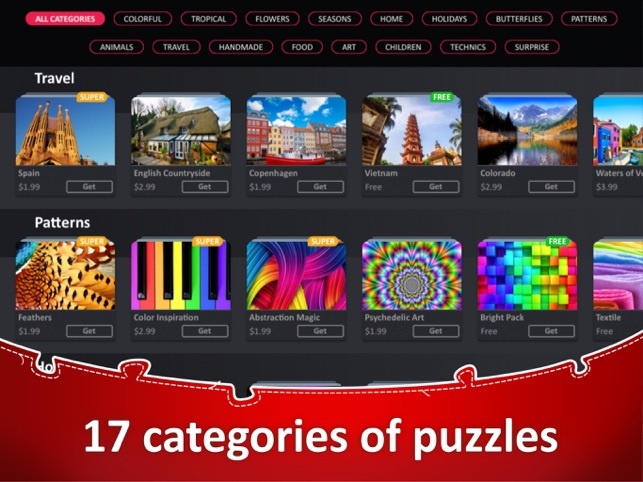 Choose high-definition pictures from nearly 200 packs in different categories and customize puzzles by size, piece shape, rotation, and background color. Find the app on your iPad! 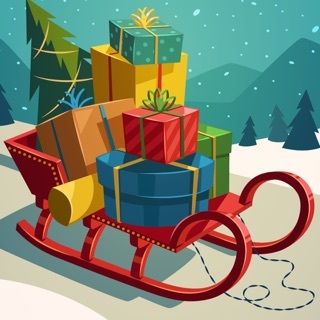 - Daily Free Puzzles – enjoy new puzzle every day! - About 200 packs in the store! Find special bonuses and get more FREE packs with amazing pictures and advantageous offers! Enjoy our regular sales! - 17 categories including Food, Landscapes, Flowers, Holidays, Animals, Art and even Surprise! - 10 levels of difficulty – from 12 to 440 pieces! Change the size and shape of the pieces, chose the color of the background and rotate puzzle pieces. - More options for creating your own jigsaw puzzles. 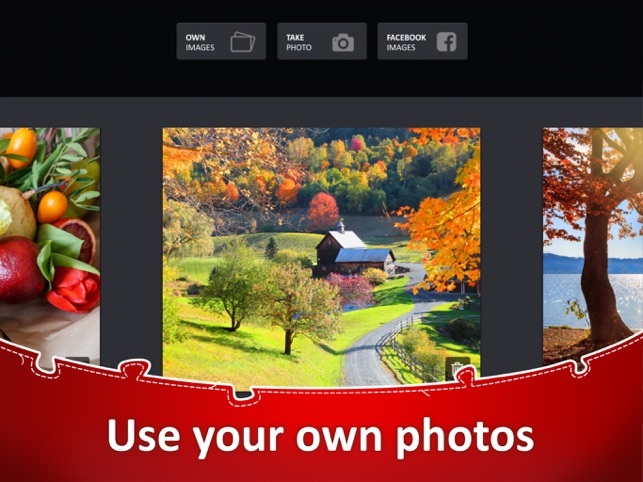 Use your Facebook photos and instantly create personalized puzzles! - Play and listen to the music from your playlist or from our playlist! - Be in the know with the latest Jigsaw Puzzle Collection HD news! Check out News feature! - You can simultaneously solve multiple puzzles. - Save all of the solved puzzles and all the puzzles that you are still working on. 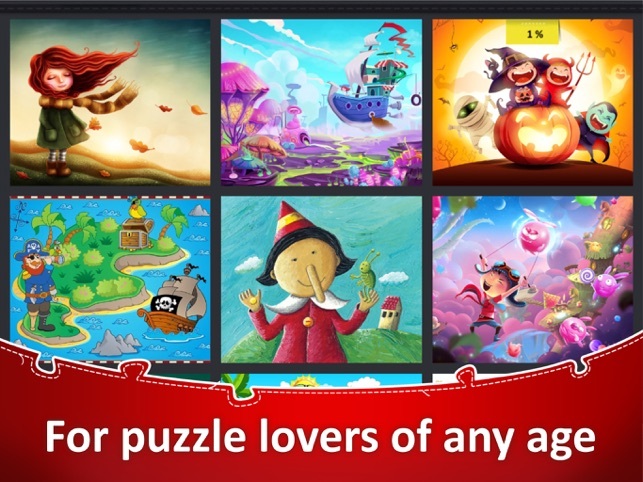 - Numerous puzzle achievements to unlock! 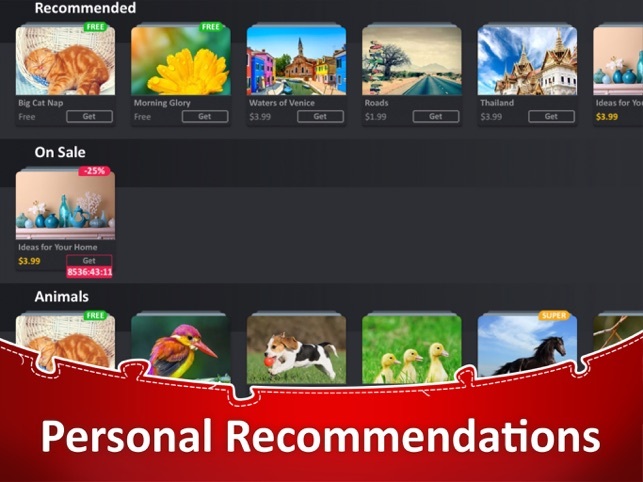 - The game is integrated with Game Center! Jigsaw Puzzle Collection HD is just what you need to relax after hard day. 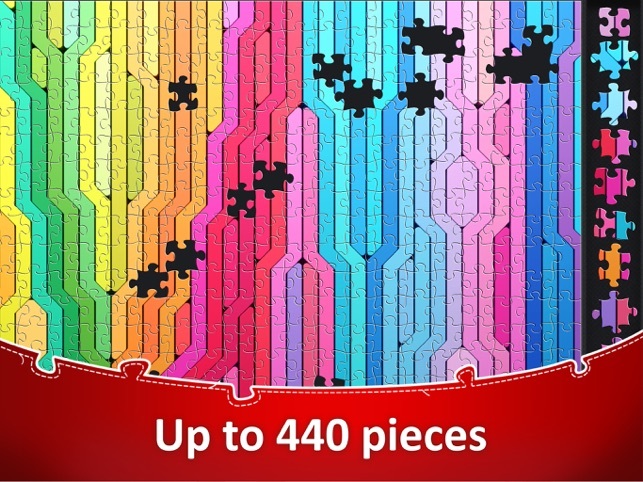 Solve jigsaw puzzles whenever you’d like without all the mess, and puzzle pieces can’t get lost! Free up table space; you need an area no larger than your iPad! 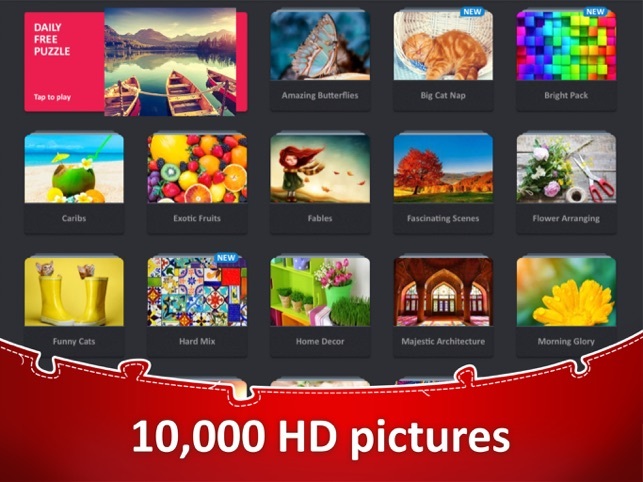 Jigsaw Puzzle Collection HD contains in-app purchases, which you may acquire through your iTunes account. You can disable in-app purchases by adjusting your device settings. We will no longer update the version of the game for iOS 8. That's why we made a final version for the iOS 8, made minor improvements in design and improved performance. Users of iOS 9 or later will not notice any changes. Thank you for being with us. My Favorite Jigsaw Puzzle App! I have tried several apps. 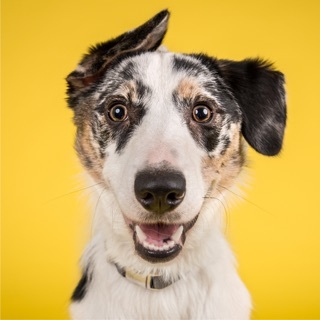 This one is my favorite. 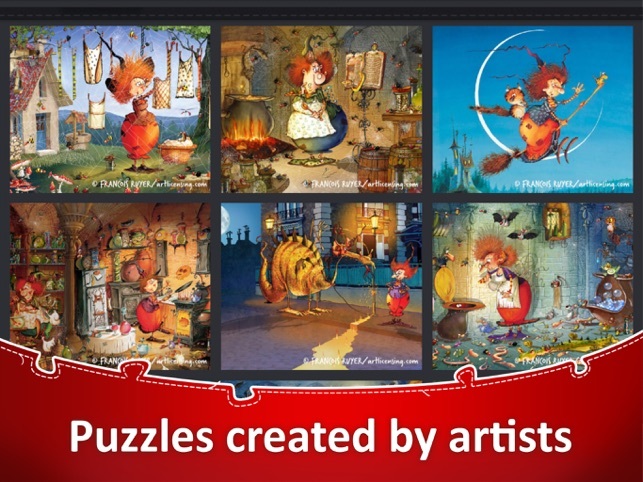 The puzzles are beautiful and well designed for jigsaw puzzles (not all blue sky), it has a lot of options (choose number of pieces, edges first), flashing the pieces on the board. But, some other apps have this too. What makes them stand out is the value. The deals for getting a lot of puzzles for a low price, the vast number of puzzles, plus a daily free puzzles and the occasional free puzzle in the library keeps me coming back. It is also nice that there are no annoyances. They have offers for more puzzles that pops up when you first open the app, but that’s it. This means that you can take a look at the picture while putting together the puzzle and not have to wait through ads. And, it does not immediately wisk you away to another ad as soon as you are finished with a puzzle. My wishes are (1) that we can see the puzzles inside the daily deals before buying (2) that the tray could be white so that the shape is easier to see. 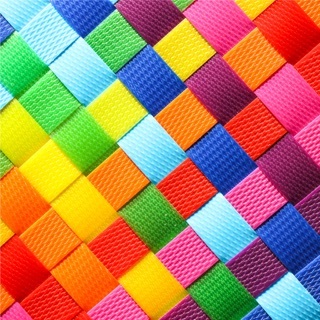 It has the option of choosing the background color, but the color in the tray is a darker version of this. (This is less of an issue now that I have discovered the Edges option, however.). (3) I wish that it showed the number of puzzles that I have purchased and which ones I have completed some puzzles in. Thanks for giving the app 5-star review. We are delighted that you enjoy the jigsaw puzzles. 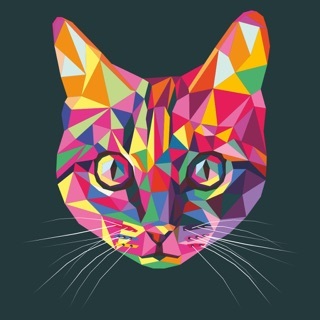 Great puzzle app. I use the free daily puzzles. Haven't bought any additional packs. Variety is nice. Tailoring the sizes and shapes is a great perk. Even the ads aren't obnoxious. 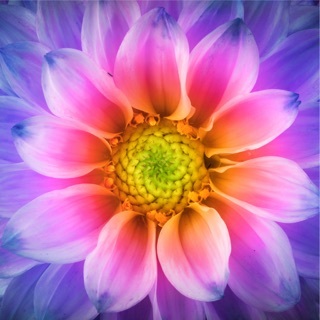 I highly recommend this app if you like jigsaw puzzles. UPDATE: I have been using this app every night to help calm my mind in order to sleep. The only time it snags a little is when my iPad is updating apps or the ads are high graphic. I typically turn off my wifi and the issues resolve. It's been a few months and I still love this app. Plenty of free puzzles in my "in progress" arsenal. I have to place a couple pieces on the board before exiting, and then it will save the puzzle. Still the best jigsaw app I've used. Thanks guys! UPDATE #2: Taking away 2 stars. Around December 2017, the ads on this app have become out of control. They involuntarily take me to Safari and some weird website. Even if I don't tap the ad banner, it automatically switches to Safari. It takes a while to return to the game. It also is taking a whole lot longer to load the puzzles. Sometimes they won't load at all and I have to close it out and reopen the app. This used to be a great app, but it has gone downhill in the last couple of months. The only way I can get my puddles to come back up is to turn off wifi. Disappointed. Thank you for the feedback. There are no deceitful ads in the app anymore. We have increased the speed of puzzles downloading. 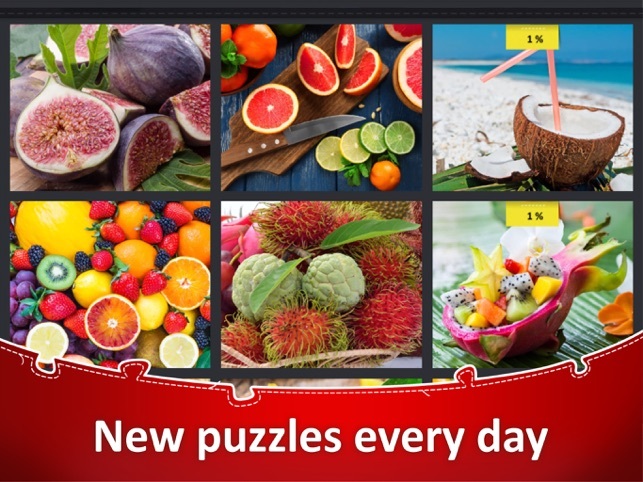 You can update the jigsaw puzzles to the recent version 1.2.16. We are ready to strive for the 5-star rating. Update: I'm not sure what happened to this great app, but it has definitely gone down hill. Both my husband and I have had problems with puzzles loading (I seriously have been sitting here for 5 minutes trying to open my downloaded packs, but none will load so I can choose one), shut downs (during a puzzle the app shuts down multiple times, where I have to bring it back up), freezes/lags (a lot of times the app will freeze NUMEROUS times when trying to swipe puzzle pieces around), and I've noticed when I swipe the app away once I'm done and close my iPad, when I open my iPad again the app immediately starts. All these things have made me terribly frustrated with this app and I have been reluctant to play anymore. Please make this app great again, I loved doing your puzzles everyday. 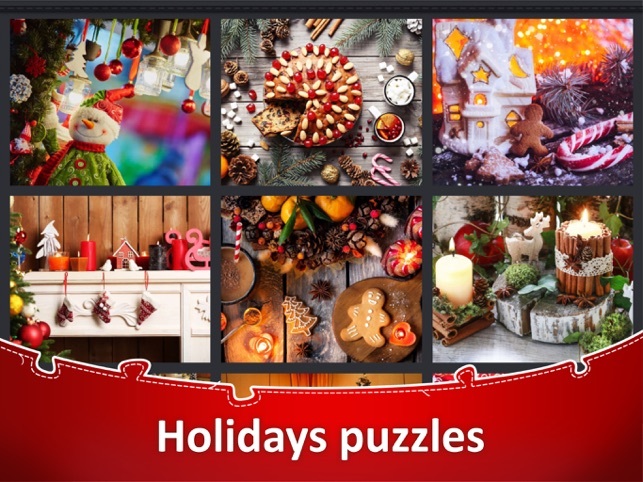 This a great puzzle app, with a large variety of puzzles to choose from (seasonal, animals, nature, sci-fy, historical, etc.). I love the new "free puzzle of the day" feature, I now look forward to the puzzle each day! I usually do puzzles in my free time or as a way to relax, almost daily. I've tried several other puzzle pass, but have deleted them all for this one. Fantastic app, wonderful selection, it's a keeper! Thank you so much for your complaint. We have increased the speed of puzzles downloading, fixed bugs concerning shutting down and freezing. 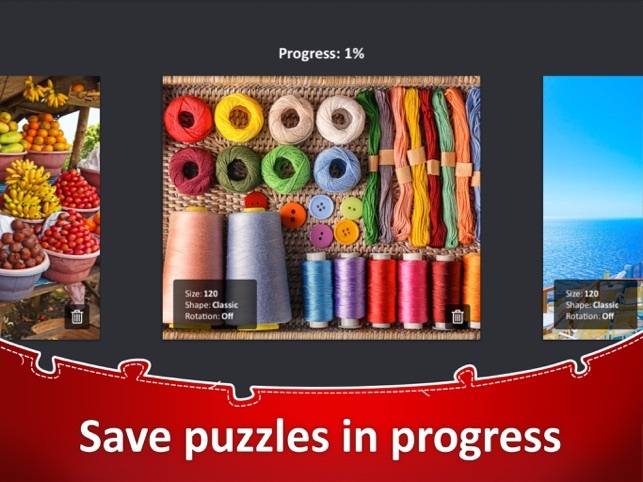 You can update the jigsaw puzzles to the recent version 1.2.16. We are ready to aim for a 5-star rating.